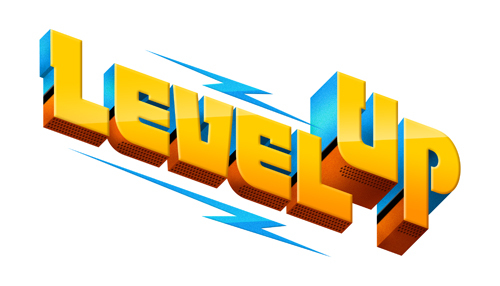 The Cartoon Network's hit show Level Up will be represented at the SDCC with a panel that series fans won't want to miss out on. I think probably anyone who's played online games has wanted to take some of those battles into real life- and that's what Level Up is about. Video game bad guys coming out of the screen and into the real world! ...kind of freaky huh? Huzzah! The Level Up gang is leaving Daventry Hills and heading to San Diego! Fans of Cartoon Network’s hit series about high school friends who battle their online foes IRL won’t want to miss this action packed panel! Peter Murrieta (executive producer) leads the stars of Level Up, Gaelan Connell (Wyatt), Connor del Rio (Dante), Jessie T. Usher (Lyle), Aimee Carrero (Angie) and Lonny Ross (Max Ross) along with executive producers David Schneiderman and Derek Guiley in a lively discussion on the upcoming adventures awaiting the Neverfail clan. The panel will answer fan questions and offer a sneak peak from a never-before-seen episode of Level Up! Level Up is a hilarious new half-hour comedy series that turns the game on the player when four unlikely friends – Wyatt, Dante, Lyle and Angie – accidentally open a portal from the virtual world to the real world, wreaking havoc on their entire neighborhood. The boys are top gamers in their favorite online game Conqueror of All Worlds. They’ve defeated trolls, squashed barbarians, annihilated ghouls and trashed everything else the game can throw at them. But it’s a whole new experience battling their online foes IRL (in real life)! Now these typical teens must “level up” in order to deal with high school life while protecting their town. And all without a cheat code!